Let's Dance! 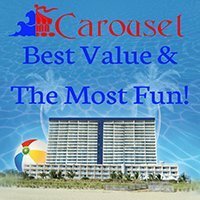 Bring the family for a fun, free dance party every Tuesday from 7pm - 9pm during July and August on the beach at Caroline Street in Ocean City MD. Family friendly dance music will be played by local Ocean City DJs on the Caroline Street Stage, just off the Ocean City Boardwalk. Join in the crowd dancing on the beach! Bring your friends, beach chair and blanket and head to downtown Ocean City Maryland for good music and fun times! For more information, please contact the Ocean City Recreation and Park Department at 410-250-0125, or the Ocean City Visitors Cener at 800-626-2326. Please consider using public transportation as parking is limited in the downtown area.